When in Manila, you can go to different restaurants and experience the diversity of Filipino food has to offer. There’s Ilocano, Bicolano, Kapampangan and a lot more. But when it comes to Batangueño food, first things to come to mind are bulalo and lomi. 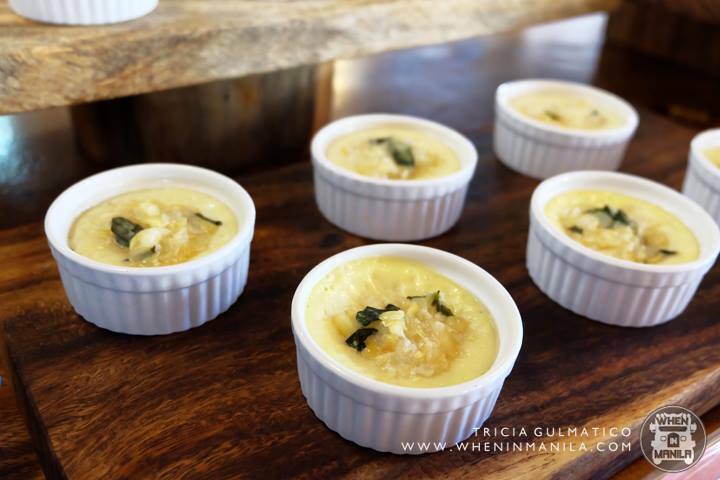 But did you know that Batangueño cuisine has a lot more to offer than just those two? That’s what we discovered at the Batangas Food Festival. 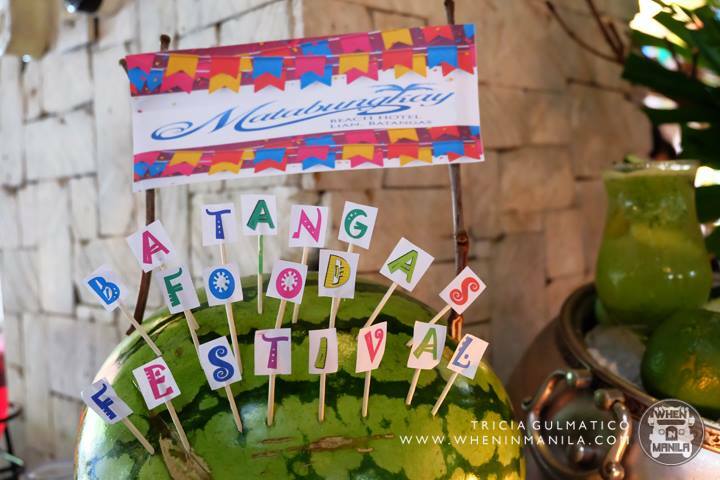 The Batangas Food Festival was launched last September 24 at Matabungkay Beach Hotel in Lian, Batangas. 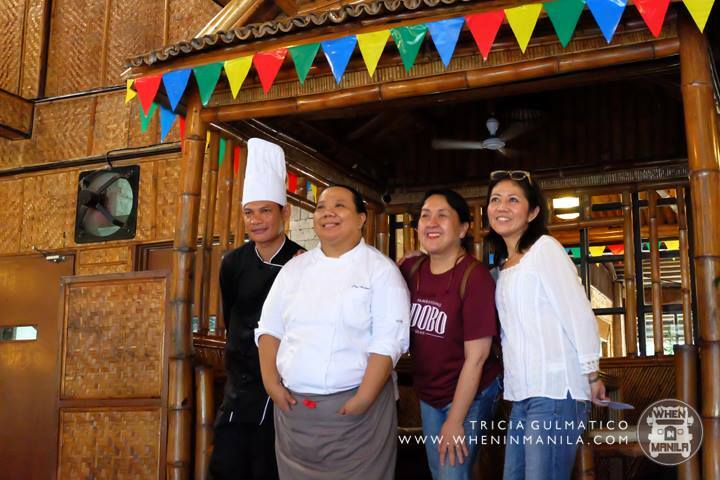 It was hosted by Ms. Charley Leviste Antonio, with the help of Chef Nancy Lumen-Reyes and Chef Jaja Andal, to highlight the different local dishes in Batangas and added some twists to make it more relevant to people outside of Batangas. 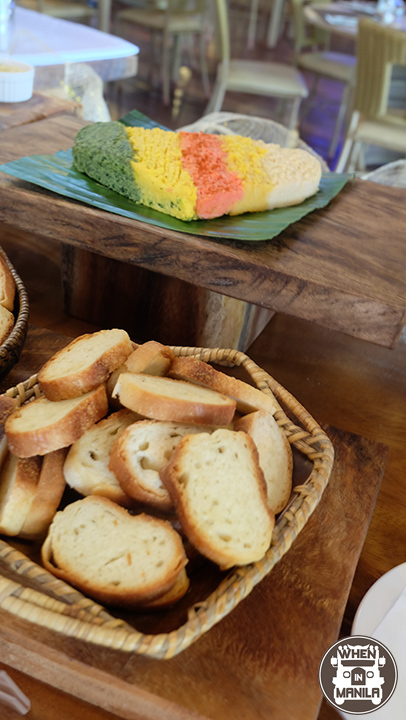 The festival also featured Batangueño culture and local ingredients which are commonly found in their backyards. It was amazing to find out that some of the ingredients used were freshly picked from one of the chef's garden. The soup was the traditional Bulalo soup. The soup was kept simple as there were only a few greens and corn in it. You could really savor the deep bulalo taste as its simplicity accentuates the flavor from the beef's meat, bones and marrow. It was my first time trying Suam Mushi, a native white corn soup. It has the consistency of a flan, but as an appetizer, it has a light flavor and sweetness from the corn. The Pistang Pâté was a delight for the eyes because of its colorful presentation. It is made up of 5 different pâtés: Salted Egg White Pâté, Salted Egg Yolk Pâté, Kalabasa Pâté, Malunggay Pâté, and Atsuete Paprika Pâté. Served with some bread, you can explore 5 different dimensions of flavor in this, while enjoying the creamy texture of the pâté. 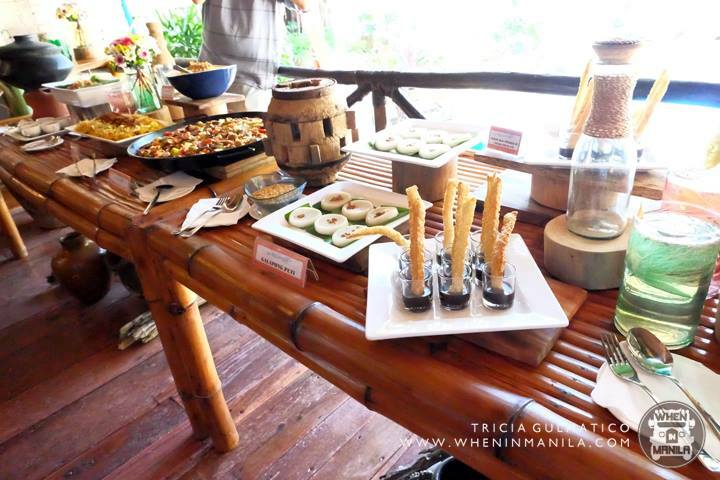 There's the familiar Mixed Greens Salad available here, but Batangas Food Festival introduced three more salads which highlight the ingredients found in the region. There's Amplaya Salad, Inihaw na Pinakbet Salad, and Steamed Kalabasa Leaves and Flowers. Another added Batangueño twist can be found in the dressings. 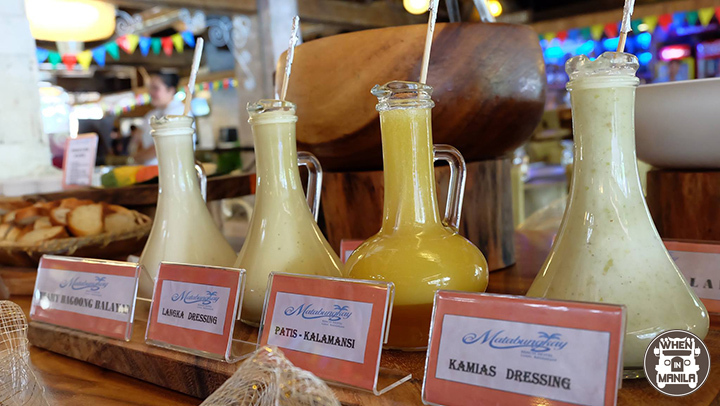 Just like the salads, the dressings were made of ingredients from Batangas. The Creamy Bagoong Balayan Dressing utilizes the bagoong from the town of Balayan. Kamias and kalamansi are popular souring agents in Batangueño cooking, which is why they were used for the Kamias Dressing and Kalamansi-Patis Dressing. My personal favorite is the Langka Dressing. I love the taste of langka and it has a very cohesive flavor that goes well with the ampalaya salad. I'm not the greatest fan of amplaya, but the langka dressing makes it work and palatable, even for children. You could try their Pickled Shallots and Pickled Ligaw na Ampalaya to get to make your tongue tingle as these are sweet and sour, adding in pungency from the shallots and bitterness from the amplalaya. The one that made the most impression with me is the Pinoy Kimchi. It has that kimchi taste but instead of the leafy vegetables Koreans use, Pinoy Kimchi uses papaya, cucumber and green mangoes. Managed and operated by Spectrum Leisure Property Managers, Inc.